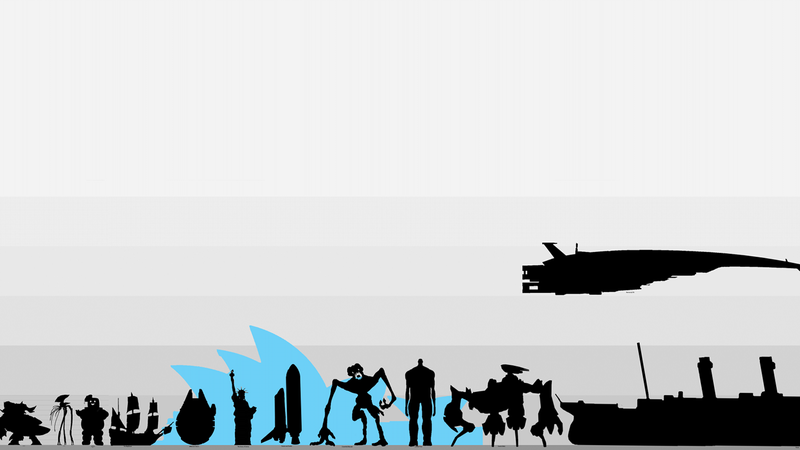 If you've always wondered how big, say, the Stay Puft Marshmallow Man is relative to the Sydney Opera House, then this is the visualization for you: a size comparison of (almost) everything. ALL SIZES are well researched, you are welcome to ask how. If a size could not be proven for something, i did not include it.